Around 4000 B.C. the Indo-Europeans lived somewhere north of the Black Sea and the Caspian Sea. Their original homeland was the Eurasian steppe area. The first to domesticate the horse, they were skillful riders and roamed from Chinese Turkestan to Spain. In successive waves they invaded the richer regions to the south. The first great Indo-European invasion was that of the Hittites, who possessed a real empire in the second millenium. Other Indo-European groups went into Europe-e.g., the Celts, the Italic tribes, and the various groups that invaded Greece. Still other Indo-European groups were the Medes, the Persians, and the Aryans who invaded India in the fifteenth century B.C. These peoples had a worldview of their own. Features of this view can be deduced from various elements in the to vocabulary of their languages. But this is not the precise area that is of interest to us here. I simply would like to consider four aspects in their mentality and outlook on the world. First, in almost all these peoples we find a view of man that is always dualistic in one way or another. For all these peoples, the body is somehow a "prison" or "mere appearance" (maya) or something negative. For the Manicheans, it was the root of sin. The view of the body as a prison can be found among the Greeks: soma/sema. Among the Hindus, the body is mere appearance or maya. Among the Iranians, the body was something evil; and from them would come Manicheanism. In other words Greece, Persia, and India were focal points of Indo-European cultures, and they all possessed an anthropology that was in some way dualistic. Someone might interject here that men such as Aristotle got beyond this dualism, and I would certainly agree that Aristotle did "to a degree." But it cannot be denied that the outlook ofa cultural world is predetermined to some extent by its history, even though men of genius may get beyond this influence by looking closely at reality and then challenging the a priori ideas of their people. Aristotle may have done this, but unfortunately those who came after him fell back into dualism. This dualism reached its culmination in Plotinus, who represents the synthesis of all the Indo-European cultures. This dualistic anthropology had a determining influence on the ethos of these peoples-that is, on their predominant attitudes and views of things. Thus their morality was dualistic too, because the body was a source of evil in one way or another. Hellenic ethics is a process of ascesis, of liberating man from the body so that he can rise towards the values of the spirit and attain contemplation. The Buddhist strives for liberation from the body, even for the destruction of the body, since it multiplies desire; the goal is to lose one's individuality in Brahman. And just as the body is something negative for Buddha, so it is for the Hindus in a different way. And then there were such groups as the Manicheans, who were later succeeded by the Cathari and the Albigensians. They opposed all bodily contact and physical pleasure; their moral code was against marriage. The body and everything having to do with the senses was evil. Note that this is a dualistic morality, and that we have accepted this morality, at least to some extent; Manichean morality has had a profound impact on many peoples in the West. The prototype of such a dualistic morality is the morality of the Iranians, because they ontified good and evil by turning them into two principles of being. As they saw it, there were two gods: a god of good and a god of evil. Saint Augustine had to tackle this issue when he wished to get beyond Manicheanism. He would find his solution in another view of the world. For all these peoples, then, the divine is eternal. It is the only reality, the only true being, the Totality. It is the being of Parmenides, which stands over against non-being. And so, paradoxically enough, one moves from anthropological dualism towards a monist thrust in ontology. What is, is one. The plural entities in this world of appearances have no real consistency. 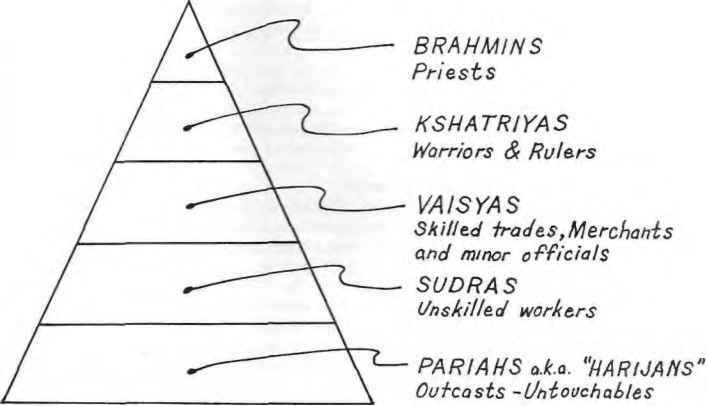 If any worldview offers a good explanation of this, it is the worldview of the Hindus. If any Indo-European philosophy represents a culmination of this viewpoint, it is the philosophy of Plotinus. Plotinus lived in Alexandria in the third century A.D. All the great Indo-European currents from the past came together in the Alexandria of that day, and Plotinus gave them paradigmatic expression. Yet as far as I know, there is no book of philosophy which points up this connection among all the Indo-European peoples. It is a task that we have just begun to tackle. This cultural outlook will have enormous repercussions during the course of time, for many peoples, the Romans and the Celts, for example, will come to share it to some extent. By understanding it, we can gain some insight into the basic underlying structures of the whole Indo-European mentality. This mentality evinced scorn for the body, for plurality, and for history: it valued the One, the All, and contemplation. And while this One might be called the divine, it was very different from what we would call God. The person who held this view of the world believed that the way to attain perfection was to leave the city and lead a solitary life of goodness. It was the solitaria bonitas of the Romans. Intersubjective relationships took place on the level of corporeal life whereas perfection was to be attained in solitude away from city life. The Platonic sage chose to leave the city, contemplate the divine in solitude, and then come back to tell people how he had arrived at truth. The Aristotle of the Nichomachean Ethics (Book X) is also a con-templator of the divine, who makes use of the city to enjoy the benefits of additional but secondary values. Buddha leaves his parents and the city in order to go away and "kill" his desires in solitary contemplation-outside history and community life. Hence one can justifiably say that this approach is aflight from political intersubjectivity designed to ensure the attainment of perfection in solitude. This, in very brief form, is an outline of the Indo-European worldview. In my book on hellenistic humanism I have treated this whole subject in greater detail.